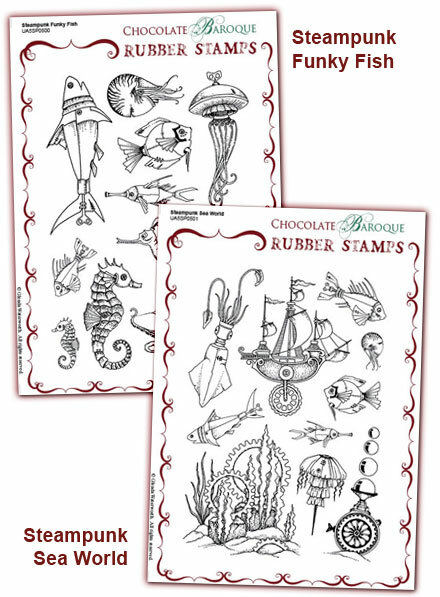 Fabulous quirky stamps that are Chocolate Baroque normal quality. 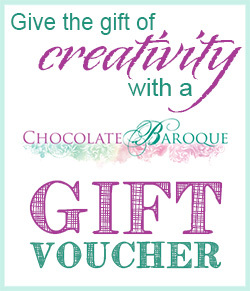 Great for men's cards. Love them! I've a couple of CB steampunk sets, and was not sure about these at first, but having played with them love them - especially the funky ship! 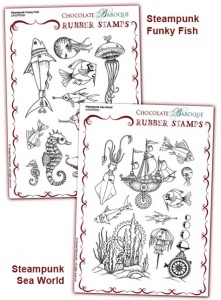 These are great for mixing and matching with other underwater themed stamps. I love fantasy and steampunk themes so these are fabulous. Cool stamps I could never find anywhere else. Great Product from a Great Firm! 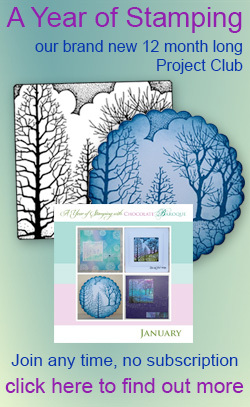 Wow, these are amazing for cards, mixed media art, journaling. I love them. I would definitely recommend these stamps. Beautiful clear images on a funky/steampunk theme... Great!